Dr. Sokolina graduated from NYU Dental School in 1998, graduating with honors and receiving the Periodontics Honor Award. She did her postgraduate training in one of the best general practice residency programs in the country at Newark's Beth Israel Medical Center. 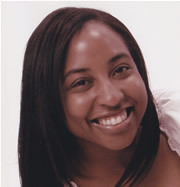 She published an article in the World Journal of Orthodontics in 2002 and presented a lecture on "Treatment Techniques in Pediatric Dentistry" at the Dental Convention in Atlantic City in 2001. Dr. Sokolina completed a mini-residency implant program in 2003 and has successfully placed and restored hundreds of implants. 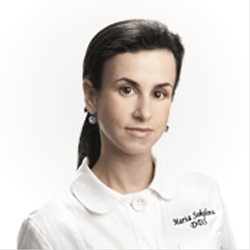 Dr. Sokolina strives to increase the level of her knowledge in the ever-expanding field of dentistry. She completed hundreds of hours of continuing education including Dawson Academy, USDI Institute for Orthodontic Training and TUFTs University for Sleep Apnea courses. 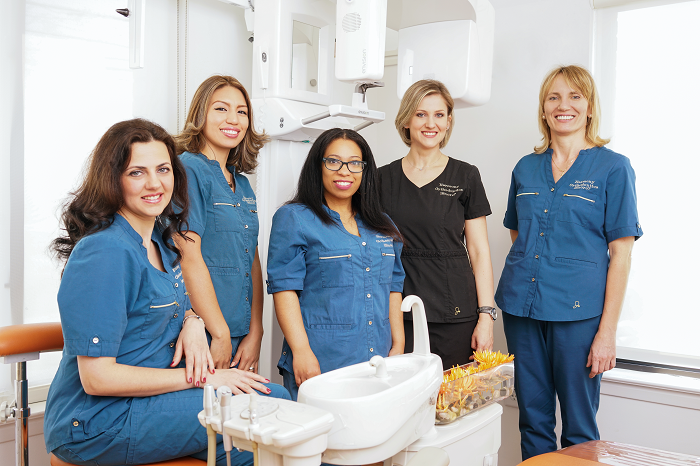 It is the goal of Dr. Sokolina and everyone in her office to continue to be on the cutting edge of every new development in dentistry that could make procedures more comfortable and further improve quality of life of her patients. 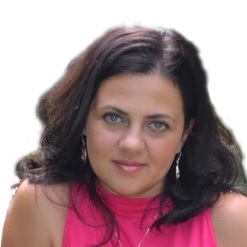 Dr. Sokolina is passionate in her treatment of obstructive sleep apnea and snoring with oral appliance therapy, and is committed to increasing her skill level and knowledge base in the constantly expanding field of sleep medicine dentistry. At the present time Dr. Sokolina is preparing her office to get accredited by Academy of Dental Sleep Apnea. 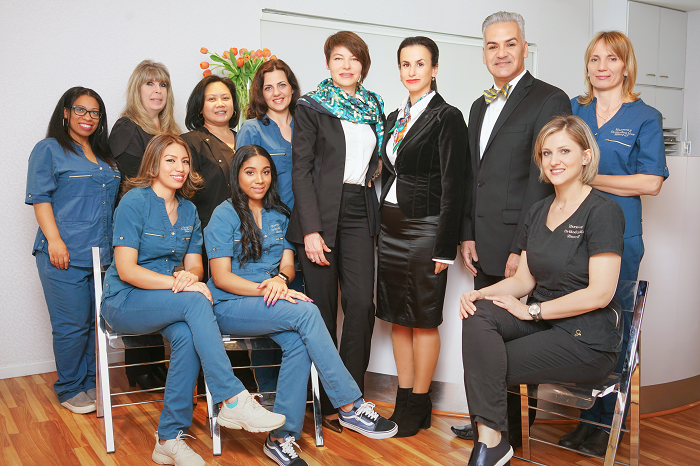 It is the goal of Dr. Sokolina and everyone in her office to remain on the cutting edge of new development in sleep medicine dentistry that could make procedures more effective and further improve the quality of life of her patients. 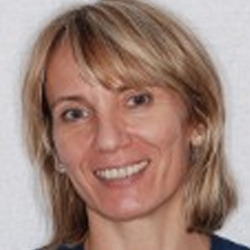 Dr. Sokolina recently became Diplomate of American Board of Dental Sleep Medicine (ABDSM). Earning Diplomat status from the ABDSM is a unique honor that recognizes special competency in dental sleep medicine. With only 15 Dentist in New Jersey, 20 In New York and 289 in the USA and Canada. Dr. Sokolina graduated from NYU Dental School in 1998, graduating with honors and recieveing the Periodontics Honor Award. She did her postgraduate training in one of the best general practice residency programs in the country at Newark's Beth Israel Medical Center. Dr. Sokolina was chosen as a New Jersey Top Dentist of 2013, 2014,2015 by New Jersey Topdocs and Healthy Living Magazine. Dr. Sokolina was selected as Best Dentist of 2015, 2017 by New Jersey Monthly Magazine by her peers. In addition to being an outstanding dentist, Dr. Sokolina has been active in promoting oral health care in the community by giving lectures in schools and day care facilities about the importance of oral disease prevention, hygiene and nutrition. Every year Dr. Sokolina and our office participate in various local events that are aimed at giving back to the community a such as the annual Halloween candy buy-back program, Operation Gratitude and various health and sporting events that raise money for local causes. Dr. Sokolina holds a teaching position at the Mountside Hospital Medical Center. Dr. Sokolina is a member of the American Dental Association, New Jersey Dental Association and a Bear Brook Study club. Treating Periodontal Disease Using the Perio protect Method. American Academy of Dental Sleep Medicine Annual Meeting. Picasso 810 Diode Laser certification program. NJ Sleep Society Annual Education Symposium. Current Controversies in Dental Sleep Medicine, American Academy Of Dental Sleep Medicine. Practice Management,American Academy Of Dental Sleep Medicine. The Cumulative Consequences of Inadequate Sleep, American Academy Of Dental Sleep Medicine. Tooth Contact, TMD and Breathing Associations Revisited, American Academy Of Dental Sleep Medicine. Types of PAP Treatment, American Academy Of Dental Sleep Medicine. Out of Center Diagnostic Testing for Obstructive Sleep Apnea, American Academy Of Dental Sleep Medicine. Individualized Approaches to Pediatric OSA Consequences and Treatment, American Academy Of Dental Sleep Medicine. Insomnia, Sleep Loss and Orofacial Pain, American Academy Of Dental Sleep Medicine. Beyond OAT: What to Do When the Results are Suboptimal, American Academy Of Dental Sleep Medicine. Framework of a Multicenter Database on Oral Appliance Effectiveness: the ORANGE Registry, American Academy Of Dental Sleep Medicine. Dentists and Medical Insurance: Solving the Medical Insurance Mystery,American Academy Of Dental Sleep Medicine. Positional Therapy and MAS, American Academy Of Dental Sleep Medicine. Restless Legs Syndrome and Associate Periodic Leg Movements, American Academy Of Dental Sleep Medicine. Bixamillary Expansion for Pediatric OSA, American Academy Of Dental Sleep Medicine. Oral Appliances on Implants for the Edentulous Patient, American Academy Of Dental Sleep Medicine. Oral Appliance Therapy with Positive Airway Pressure: Managing the Previously Unmanageable Patient, American Academy Of Dental Sleep Medicine. Oral Presentations, American Academy Of Dental Sleep Medicine. Beyond CPAP and and Mandibular Advancement Appliances: Exploring the Future of Dental Sleep Medicine, American Academy Of Dental Sleep Medicine. Effects of Sleep Apnea and Sleep Loss on Driving Performance, American Academy Of Dental Sleep Medicine. Promoting Your Practice, American Academy Of Dental Sleep Medicine. Sleep Prosthodontics: Understanding the "why" Rather than Treating the "How",American Academy Of Dental Sleep Medicine. Adolescents and Sleep Health,American Academy Of Dental Sleep Medicine. Sleep Disorders and Parkinson's Disease, American Academy Of Dental Sleep Medicine. Cardiovascular Consequences of OSA, American Academy Of Dental Sleep Medicine. Pulling the Mandible or Pushing the Air: Selection of Patients for Oral Appliance Therapy, American Academy Of Dental Sleep Medicine. Drug-induced Sedation Endoscopy, American Academy Of Dental Sleep Medicine. Managing the Consequences of OAT and TMJ/TMD Pain, American Academy Of Dental Sleep Medicine. Dangers Of Hypnotics for Apnea Patients,American Academy Of Dental Sleep Medicine. Medical and Surgical Treatment of Pediatric OSA, American Academy Of Dental Sleep Medicine. Advanced Dental Sleep Medicine, American Academy Of Dental Sleep Medicine. Comprehensive Review of Dental Sleep Medicine, American Academy Of Dental Sleep Medicine. Practice Building and Practice Management, American Academy Of Dental Sleep Medicine. Preparing for the ABDSM Diplomate Exam, American Academy Of Dental Sleep Medicine. From CPAP to Oral Appliances Therapy: Lessons of the Past and Perspectives for the Future, American Academy Of Dental Sleep Medicine. PSG and Portable Monitors, American Academy Of Dental Sleep Medicine. OSA: Hypoxia Effects on the Brain, American Academy Of Dental Sleep Medicine. Bite Registration, American Academy Of Dental Sleep Medicine. Dental and TMJ Side. Effects of Oral Appliances, American Academy Of Dental Sleep Medicine. Emerging Treatment for OSA, American Academy Of Dental Sleep Medicine. DSM Facility Accreditation, American Academy Of Dental Sleep Medicine. Adolescent Sleep- What is Normal/ What is not, American Academy Of Dental Sleep Medicine. Pediatric Sleep, American Academy Of Dental Sleep Medicine. Oral Abstract Presentations, American Academy Of Dental Sleep Medicine. Compliance Monitoring in Oral Appliance Therapy, American Academy Of Dental Sleep Medicine. Practice Building: Communication with the Sleep Physicians, American Academy Of Dental Sleep Medicine. Confounding Conditions "Ambulatory Testing and PSG," American Academy Of Dental Sleep Medicine. The Human Circadian Timing System, American Academy Of Dental Sleep Medicine. Appliance Selection- What Do We Know Today, American Academy Of Dental Sleep Medicine. Stroke and Cardiovascular Consequences of OSA, American Academy Of Dental Sleep Medicine. Geriatric Sleep, American Academy Of Dental Sleep Medicine. Hypoglossal Never Stimulation for OSA- The State of the Art, American Academy Of Dental Sleep Medicine. Complicating Conditions and OSA, American Academy Of Dental Sleep Medicine. Medicare Issues for Dental Sleep Medicine, American Academy Of Dental Sleep Medicine. Annual Dental Sleep Medicine Symposium, Tufts University School of Dental Medicine. Case Study Open Bite. Align Dental Institute. Refocus on Perio - Keystone Success. Bear Brook Study club. Treatment Planning Periodontics For Success. Bear Brook Study club. Teeth In a Day. Bear Brook Study club. Endodontics. Hudson county dental society Study club. Building And Maintaining A Winning Dental Team. Study club. Frailit Implants.Comprehensive 2-day Mini-Residency. Montefiore Medical center. Management Keys You Can And Will Implement. Study club. Esthetic Dentistry With Occlusal Perspectives. Study club. Dr. Sverdlov graduated from the NYU College of Dentistry with honors. It was her second dental degree, the first from the Medical school in St. Petersburg, Russia. After graduation in 1993, she worked in private clinic for seven years. Dr. Sverdlov is taking many continuing education courses. Her main areas of interest are Endodontics and Cosmetic Dentistry. She has a great deal of experience in a working with apprehensive patients. Dr. Sverdlov has many interests outside of dentistry as well. Her special ability to see beautiful things around her led her to digital photography. You can see her masterpieces in our reception area. In addition, she has an exclusive collection of Eastern European Art. She attends numerous jazz concerts and shows, and has an extensive knowledge of world literature, fashion and holistic nutrition. With such a broad spectrum of knowledge and interest in the world around her, she is wonderful person to be around. Dr. Sverdlov loves to spend time with her husband Mike and daughter Dasha, an aspiring artist. Fixed Restorations of the Fully Edentulous Arch with Implants, Periodontics & Implant Dentistry PA. Lasers in the Treatment of Periodontal Disease and Peri- Implantitis,Periodontics & Implant Dentistry PA.
Is There an Alternative to the Removal of Teeth or Dental Implants that are Ailing/ Failing,Periodontics & Implant Dentistry PA. Positioning for the Future; Dentistry for the Masses, Ultradent Seminars. The Woes of Implant Cements, Drs. Michael & Bernadette Messana. Prevention, Nonsurgical Treatment and Regenerative Therapies, Straumann. Pharmacopathology: More Than A mouthfull, Paramus Periodontics. Treatment Planning With and Without Implants, Periodontics & Implant Dentistry PA. Restoring Dental Implants- Keys to Success, Periodontics & Implant Dentistry PA.
State of the Art Digital Restorative Dentistry and the Lab, Dental Learning. Clinical Efficacy of the CAD/CAM System and Materials, Dental Learning. Digital Restorative Dentistry and Digital Impressions, Dental Learning. Orthodontic Treatment Timing What to treat, when, and why,Drs. Michael & Bernadette Messana. CPR & Emergency Medicine in Dentistry, Academy of General Dentistry. Knowing when NOT to do endodontic treatment, New Jersey Board of Dentistry. Outpatient Anesthesia for the Dentalphobic,Tri County Center for Oral Maxillofacial Surgery and Dental Implants. Evaluation of Congemtal Jaw Deformities, Dental Implant Training Center Verification of Participation. Dr. Peters grew up in Los Angeles, California. 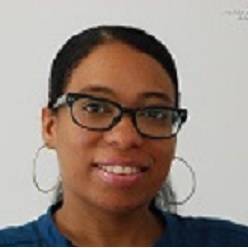 She moved to New York to attend Fordham University where she received her B.S. in Mathematics and completed her dental training at New York University College of Dentistry. She then completed her advanced training in Orthodontics at Case Western Reserve School of Dental Medicine in Cleveland, OH. In this rigorous program she also received training in growth modification, dentofacial orthopedics and meeting the complex needs of individuals with craniofacial abnormalities and congenital disorders affecting the facial skeleton and teeth. 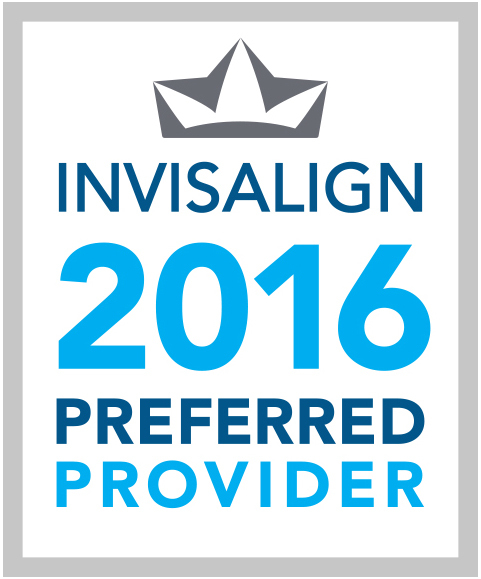 Dr. Peters is an Invisalign Premier Preferred Invisalign provider offering both Invisalign and Invisalign teen to her patients. 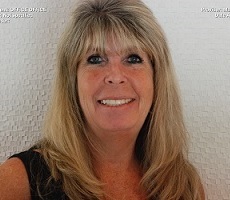 Dr. Peters currently lives in northern New Jersey with her husband and two young children. In her free time, she enjoys baking with her daughter, taking Little Gym classes with her son, and reading. Early Orthodontic Treatment for Class II Incisal Relationships: Has This Question Been Answered? Class II Malocclusion Correction: "Mundane Magic"
My name is Eugenio Gaston. I am from Santo Domingo in the Dominican Republic, I graduated from Unibe School of dentistry in 1997. In 2005 I had the opportunity to move to the United State and start a new life. During the first years in this beautiful country, my wife and I were blessed with two handsome boys. We all love the outdoors, camping, swimming, video games and road trips. Because being in the dental field was always in the back of mi mind, I worked as a dental assistant for 8 years, and when the time was right I decided to go back to school, so I enrolled at Rutgers University. In December 2016 I finished the Rutgers Dental Hygiene program with high honors and currently hold license to practice as a Registered Dental hygienist and Local Anesthesia Provider in the state of New Jersey. It's my pleasure to serve you and be a part of the Harmony Dental Arts team. My name is Ewa Gryglak, I was born in Poland. I graduated from Berdan Institute Dental Program in 2010 and received my Certified Dental Assistant license. I met Dr Sokolina when I was doing my internship. Since then I have been here, where I feel I have a chance to grow and learn many interesting things about dentistry. I am married & have 4 daughters.In my spare time I like to spend time with my family & friends. My name is Kathy Salvatoriello. I was born and raised in the Bronx and moved to Clifton in 1997. I worked in the mortgage industry for 18 years until market crashed in 2006. I changed career paths and starting working in a dental office p/t doing administrative work. There, I worked my way up to office manager. In June 2011, Dr. Sokolina afforded me the opportunity to become a part of the Harmony Dental Family. I enjoy working with everyone here and helping the patients. I look at each day as a learning experience and look forward to obtaining as much knowledge that is shared. Interests: Spending time with family/friends- Yankee Fan!!. Hello my name is Jenny Vidal. I've been in the Medical Field since 2004 as a Medical Biller and Collector working in NYC. I've moved from New York in 2009 to Lincoln Park NJ. I've had the pleasure to meet Dr Sokolina; her spark and energy makes it a wonderful learning experience and excitement of helping patient with their sleep apnea problem and TMJ. 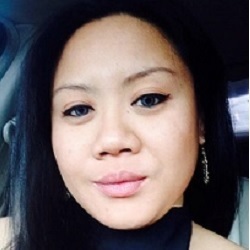 I am the Medical Admin and Medical Biller in Harmony Dental Arts. I'm here to assist all patients with their questions and needs pertaining to their insurance. I help educate patients about our services and about their insurance what's covered and what's not. All concerns and questions are answer before proceeding. I've strive to have things done accordingly and approve by the insurance company to cover almost all cost of treatments and appliances. I love to help patients feel that they are not alone and there are resources out there to help achieve their needs and help improve their life quality again. My name is Lina Arias, I was born in the Dominican Republic. Graduated as a dental assistant at fortis institute. I enjoy helping and interacting with patients. Me and my team work as hard as we can so that we can create an organized enjoyable and welcoming workplace. Hi my name is Kiana Burgos. I was born in that Dominican Republic. Immigrated to United States when I was 8 years old. Live in Passaic New Jersey for a year. That following year moved to Paterson NJ currently living in Paterson. I graduated from Eastside High school my major was Culinary Arts. Attended Passaic Country Community College study Early Childhood Education. Work in a daycare for 3 years decided to back to school to study Dental Assistant. Graduated from Fortis Instituted November 2016. Found out about Harmony Dental Art from my good friend Lina Arias. Meet doctor Sokolina after finishing my internship. Planning to go back to college to further my education on dentistry. Very happy to have that opportunity to be part of Harmony Dental Arts Family. My name is Maryana Kit. I was born in Ukraine. In High school years, I could not choose between math and dentistry and finally I graduated from Lviv National University with PhD diploma in mathematics and mechanics. I met Dr. Sokolina in United States and she gave me a chance to try myself in a dental office. My first weeks with this dental team was so excited that I decided to continue studying dentistry. Soon I finished Dental Radiology courses and got my first License in this field. Right now, I proceed with studying in Dental Studies Institute of New Jersey and hope to become a Certified Dental Assistant shortly. I enjoy to work with the great coworkers and happy to help our patients.